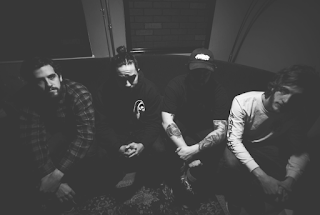 Kublai Khan have dropped the video for the new song "The Hammer." "We are stoked to be releasing our first full track titled 'The Hammer,'" said singer Matt Honeycutt. "It's classic Kublai Khan with twists and turns of a new sound and a personal message to push. For all the folks who dig us, we hope you enjoy it. And if you haven't heard us before, we thank you for giving us a shot. "